It has been often said that people who think small remain that way. I however have been witness to many people who have defied the odds. They are considered pioneers and with small beginnings have had unbelievable success. Take the story of Kyle Mac Donald. In 2006 he took a picture of a red paperclip. He posted the picture in the barter section of craigslist. He got a response from a girl who had a pen shaped like a fish. Of course he traded with her. From there his trades grew larger in size. He traveled all the way to YAHK at one point for a snowmobile. At the end of the journey he ended up with a year of free rent in a house located in Phoenix. He said that his real dream is to have his own home. He wants to trade for that too. After reading this story I have not been able to look at my paper clips in the same way. They hold a whole new value for me I had never considered before. I am not sure if I am willing to travel to YAHK. Then again I have to be invited first. But I have a very large collection of paper clips that are about to be offered for trade. What is it you have to trade that could be of use to someone else ? 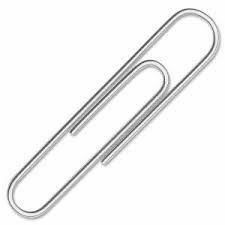 It might be something as seemingly insignificant as a paper clip. Or it could be a service that you could trade in exchange for something that might be out of your reach right at this moment. Whatever it is that you have been wanting to do, have or be ,take a good look around your surroundings. Find something that you can do without and offer it for a trade. You just never know where it could lead. The worst thing that could happen is that you will not receive a response at all to your offer. You might have to ditch the paper clip in favor of that unusual trinket collecting dust in the corner of your office. You know the one thing you cannot seem to remember where or when you got it. Or better yet, why you brought it back from wherever you were. Let me know what you decided to trade and the results! Good Luck!